Self-made things are always individual and emphasize the excellent taste of the needlewoman. 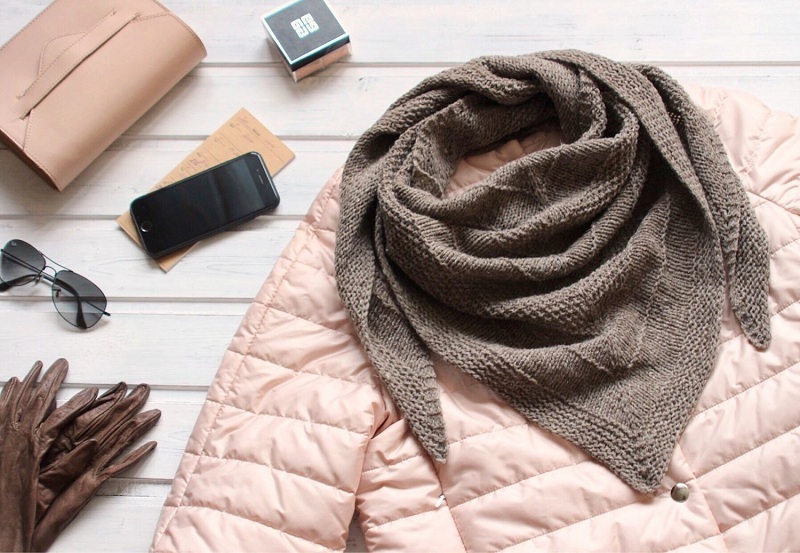 The most valuable handmade items are those that not only decorate and complement the image but are also functional elements of clothing: they will warm them in cool weather and protect them from heat and the scorching sun. With the onset of the first frost, many people forget about fashion and beauty, begin to wrap themselves up in warm shapeless scarves, protecting themselves from the piercing wind. 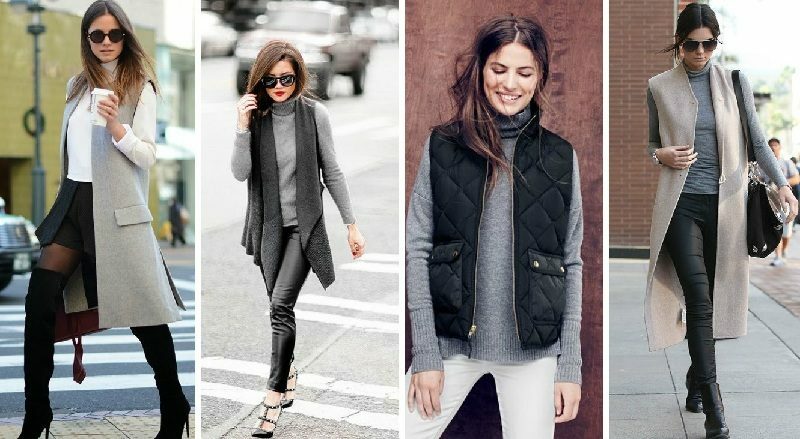 But you can remain attractive even with the onset of cold weather. A wardrobe item such as a shawl or baktus can help. With this piece of clothing, you can not only warm up but also create the most daring and memorable images. And the baktus bound by your own hands will allow you to stand out from the crowd. The homeland of this accessory is Norway. Initially, baktus was an element of the male wardrobe, but over time, women won the right to consider this shawl as universal. 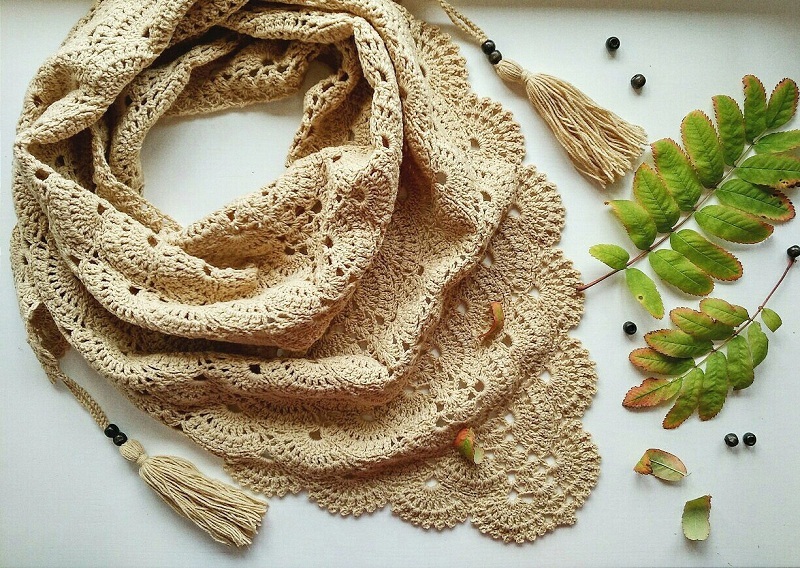 Wear it as a scarf, knit around your neck, as a shawl, throw over your shoulders and even as a shawl, tie over your head. Unique is the fact that baktus is absolutely suitable for any style of clothing (classic, urban, sports, etc.). Knitted baktus looks much more spectacular and elegant than an ordinary scarf, but the heat keeps just as good. Many fashion designers complement their collections with this stylish accessory. After all, exquisite baktus is not only a practical and beautiful thing, but also an ultra-fashionable wardrobe element. You can easily tie your own stylish initial (sometimes called baktus) with your own hands. The baktus knitting pattern is simple and straightforward, and the master classes offered in the article with a detailed description will help even the beginning knitter to master this work. To knit the original thing, it is worth making knitting tools (in this case, knitting needles are best) and yarn. The size of an ordinary baktus is most often as follows: the length is a little more than a meter, and the width is 40-50 cm. But this refers to standard sizes, and each craftswoman can knit the product according to her measurements, depending on the chosen pattern and thread. Bacti, which are used for wearing in the cold season on top of outerwear, most often knit from thick woolen (half-woolen) yarn. The volume thread will favorably emphasize the authorship of the skilled worker, will allow the baktus to drape gorgeously over the top of the coat (jackets, fur coats, sheepskin coats). But it is possible to fashion in a stylish accessory not only in winter – the associated baktuses made of cotton or acrylic will perfectly decorate and diversify even the summer wardrobe. Knitting patterns, yarn selected with taste, as well as tassels, pompons and other decorative elements will help to make the model author’s and favorably emphasizing the individual style of the skilled worker. For those who are just beginning to take their first timid steps into the world of knitting and needlework, we suggest using a simple and clear description of knitting baktus with knitting needles. To knit this model, it will be enough to be able to knit facial loops and increase and decrease the loops. The work will need yarn (wool blend) and a pair of knitting needles. The size of the needles should be selected according to the instructions given on the label of the skeins for knitting. 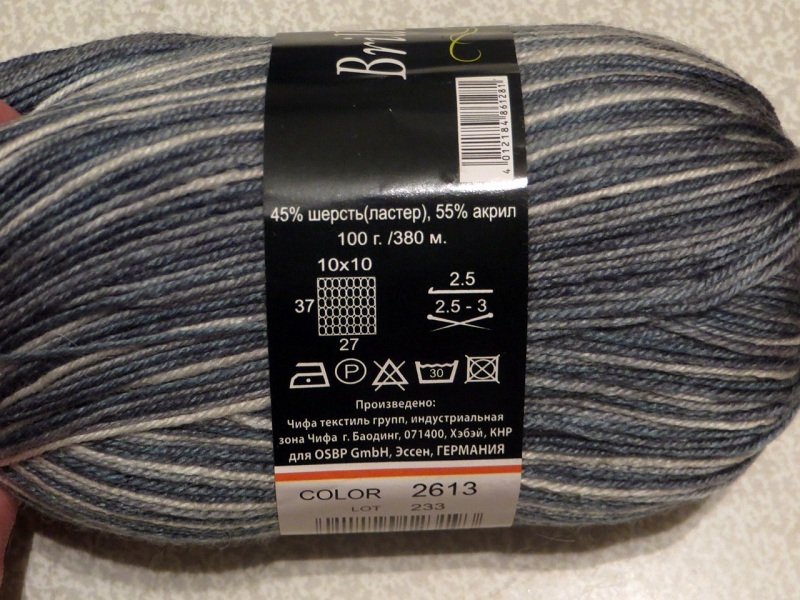 For example, for baktus 120 cm by 30 cm, you will need one skein of half-woolen yarn (380 meters per 100 g) and needles of size 3 (the size and size of the needles are indicated on the label). Tip! 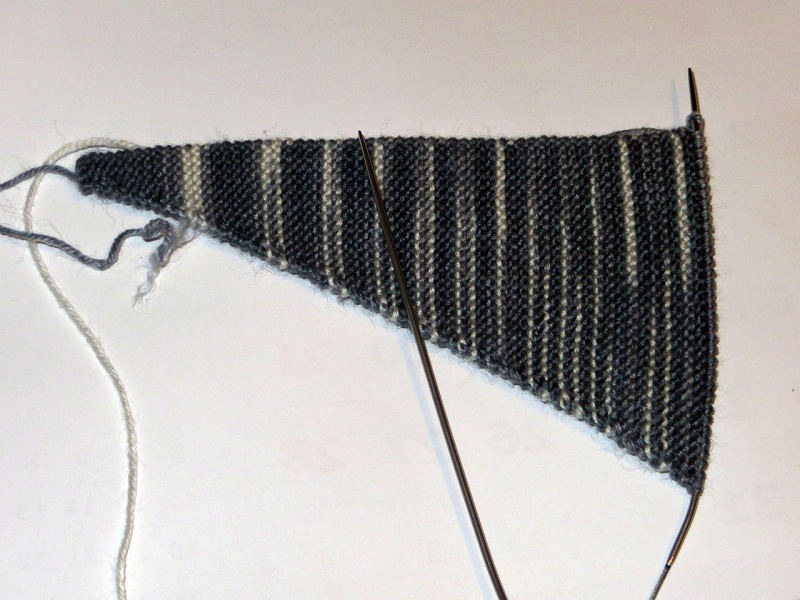 When knitting a simple baktus model, it is preferable to use a melange yarn (a thread with a color transition). 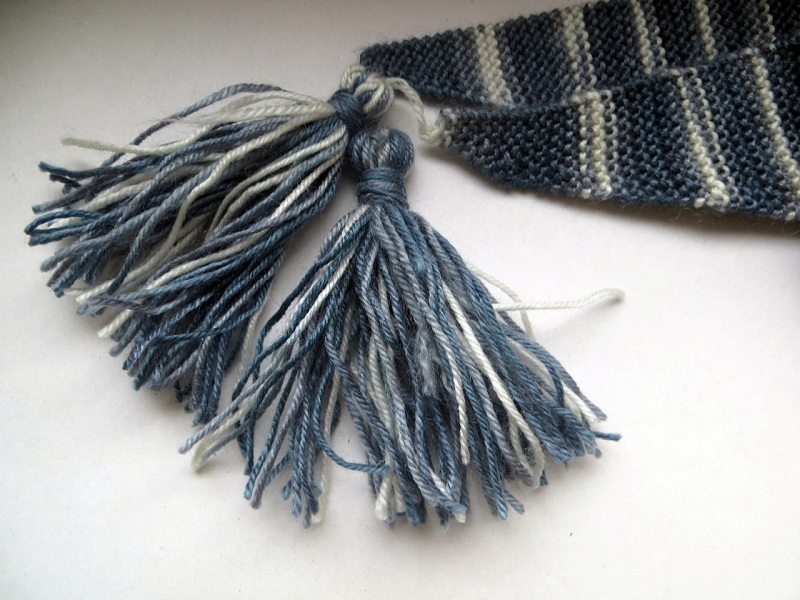 The product, knitted of melange yarn, will look richer and more interesting. Type on the spokes 4 loops and knit 3 rows. 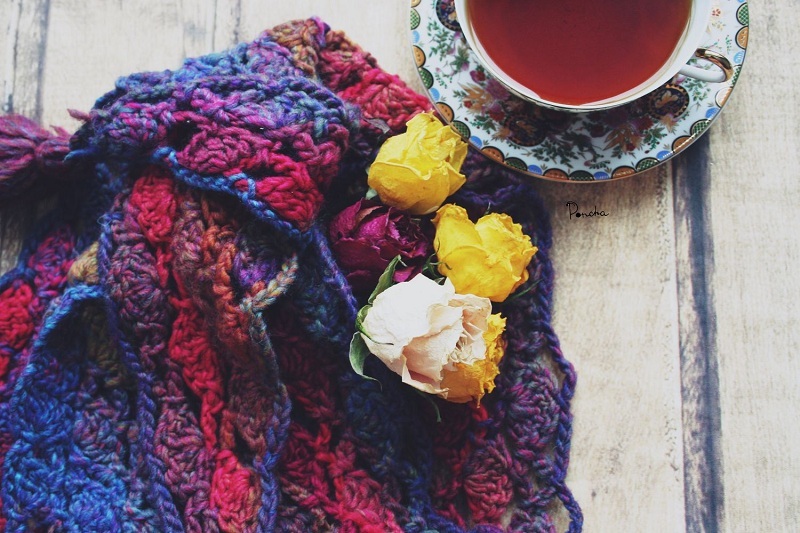 To ensure that the edges of the finished product are even and not twisted, knit the edge loops at the beginning and end of each row as follows: just remove the first loop of each row without tying, and knit the last loop from the inside. 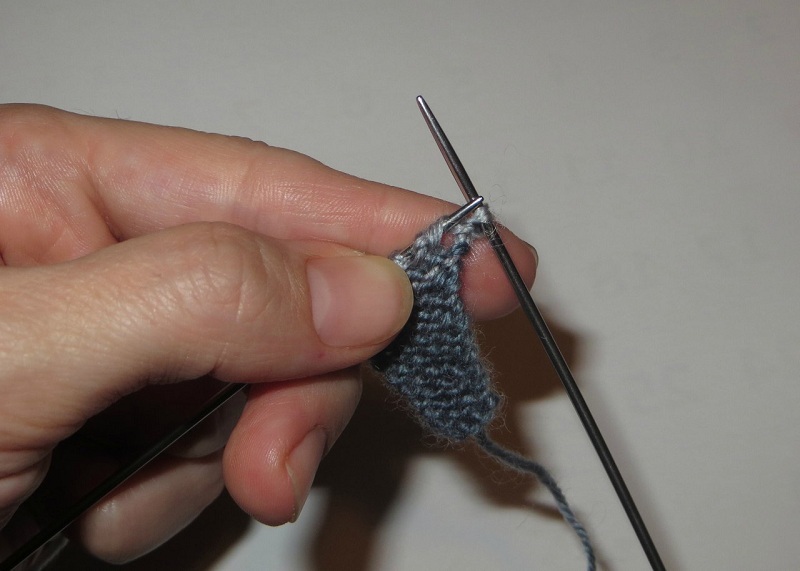 After knitting the specified number of rows, make before the last loop an increase from broach or nakida. If you make an addition by placing a loop, then there will be small holes (holes) on the edge of the product from the side of the gains. And if the gain knit from broaches, the canvas will be solid. Important! Increments and further reductions should be done on the one hand baktus. 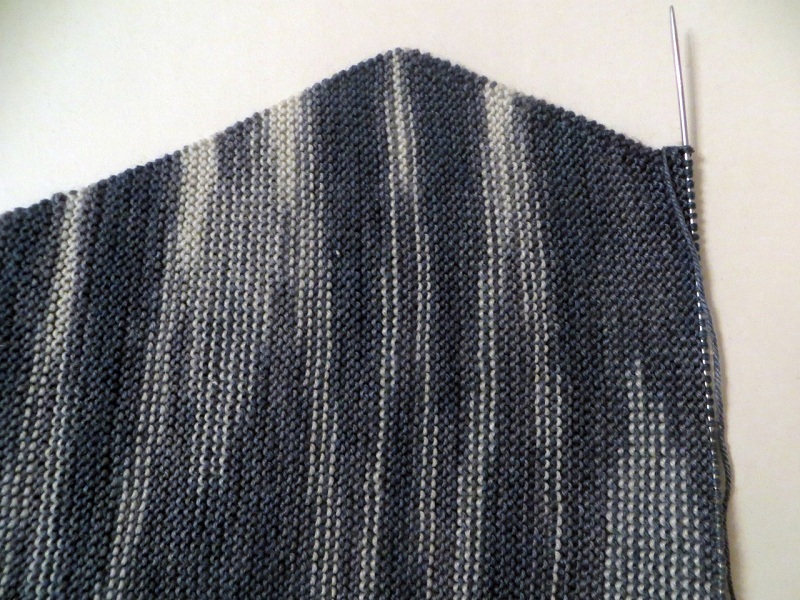 After an additional loop has been inserted into the work, 4 more rows should be tied with facial loops. The following increase should be done in the eighth row. And so continue to include in the work of new loops (add extra for expansion) in every fourth row. After the width of the product is equal to the required (45 – 50 cm), you should proceed to decrease. To do this, remove the first loop, and knit the second and third together. Repeat the subtraction procedure at the beginning of every fourth row. We knit with cuts to the point until there are 4 loops on the needles. Close with a needle or hook and cut the working thread. To make the product complete, decorate it with tassels. You can make them from the remnants of yarn and strips of cardboard. Wrap several layers of thread on a wide cardboard strip, fasten them from above and cut them from the bottom with scissors. Then, stepping back a few centimeters from the top, tie it with a thread. Trim the ends and attach to one of the corners of baktus. For the second corner, make a similar brush. Stylish thing ready! Connected just for the evening baktus will warm you the whole winter. But for summer evening walks, you can link a lace minishale made of cotton, silk or viscose.